← It's still Day Two! Once again, we had our tummies full and were on the bus bright and early. (Some dedicated souls had gotten up extra early and walked over to the nearby Starbucks to get their fix). We took a quick swing past the Embassy Row. Our tour guide was trying to figure out which flag belonged to each country without much success. She asked us to see if we could identify any. The annoying kid who was sitting behind me at that time, was awesome. I was impressed that he knew so many of them. As for the countries that he didn’t know, Percy (a grown up!)knew. Or as least he acted like he did. He’s pretty good at making up countries! It cracked me up that our guide accepted them all and repeated them over the PA system. We soon we arrived at our first destination of the day, the National Zoo. Apparently I have been spoiled by zoos my whole life. This zoo, our national zoo, was the saddest little zoo I’ve ever seen. (Ok, so I’ve only been to four others, but still…) It reminded me of how the zoos were when I was a kid. The animals just paced in their very obvious cages . It didn’t seem as though they had made much effort to create any sort of natural habitat. 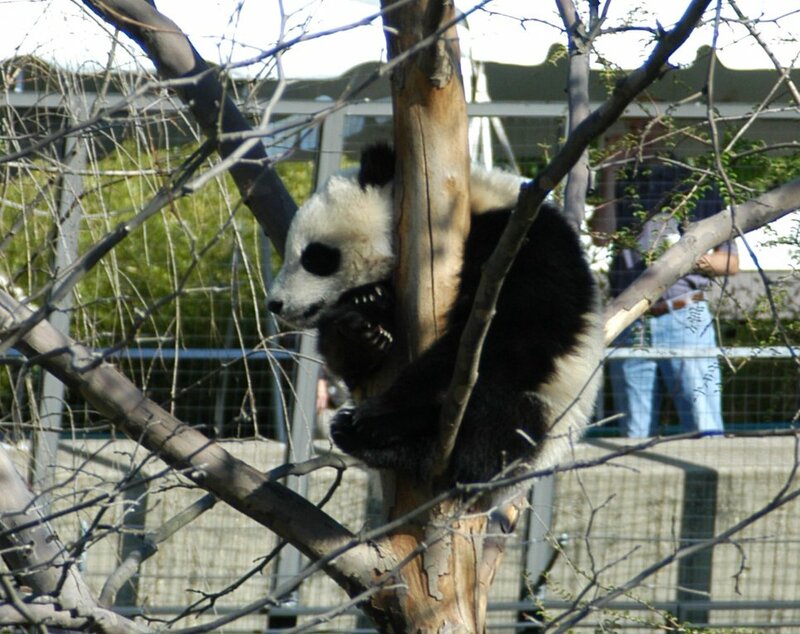 Anyways, here is a photo of the baby panda. He was nestled up in a bare tree. His mama was sleeping on the bare rock below and the daddy was pacing back and forth in an adjoining area. Then we were off to see Christ Church in the lovely town of Alexandria. 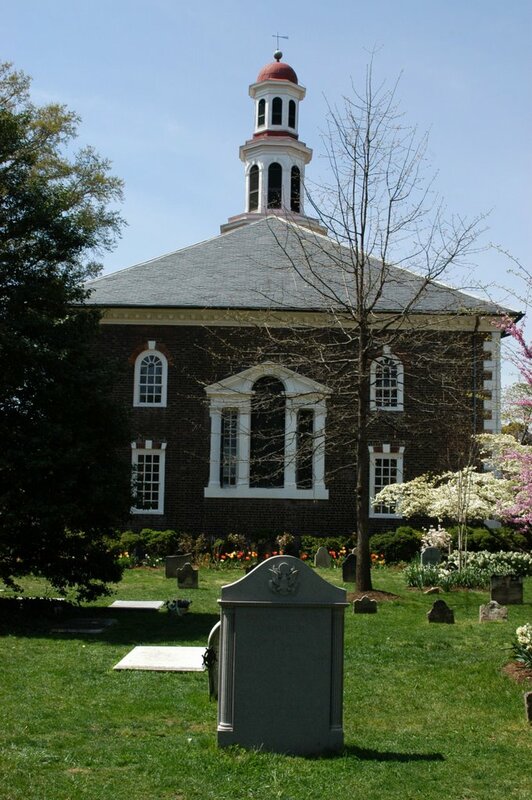 It is a beautiful church, built in 1767, that is still in use today. 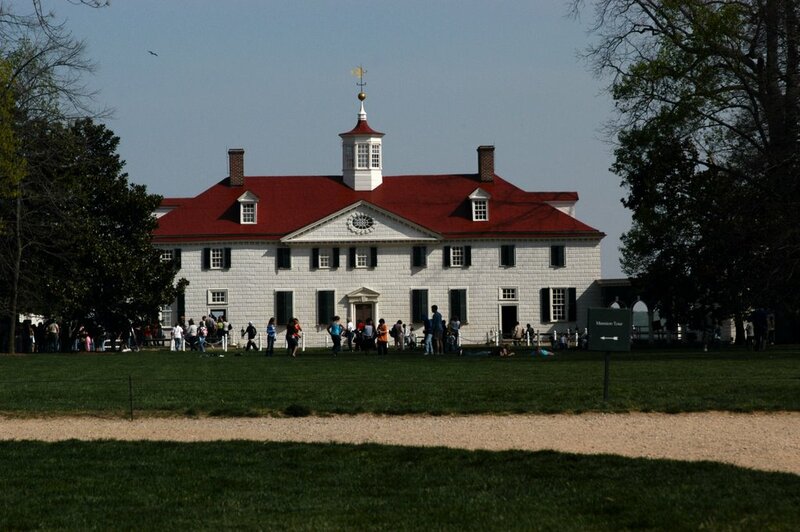 George Washington was one of the original parishioners and his box seat is the only one that is still intact in the original form. (And do you think I got a shot of that??) 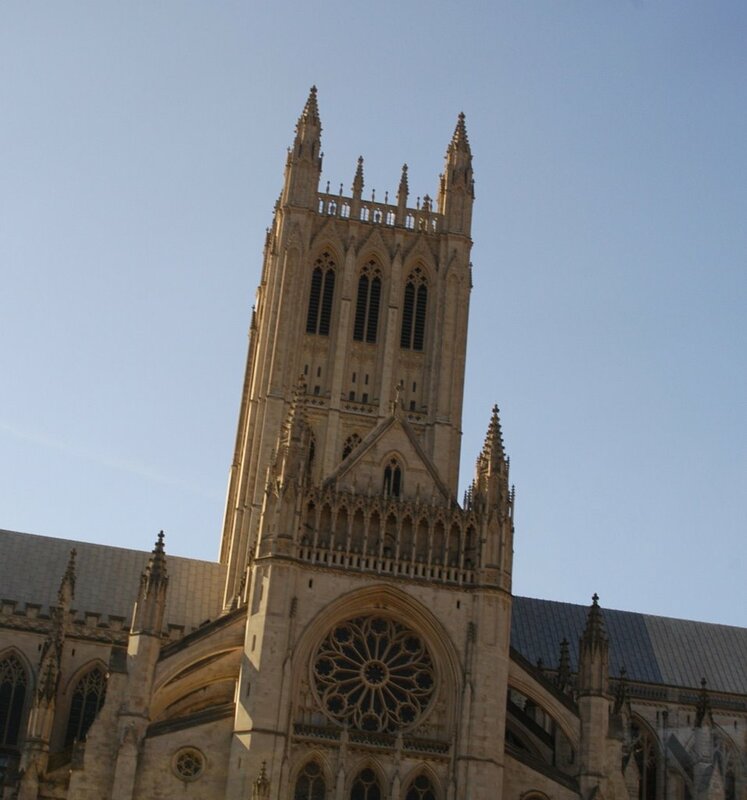 Since then nearly every president has attended a service at Christ Church to pay their respects. Then it was time for dinner. We were going to a place on the waterfront called the Torpedo Factory. All our guide told us was that they used to make torpedos there. I later found out that it was an art center filled with numerous artist studios and galleries. Outside the factory was an a mazing street performer. 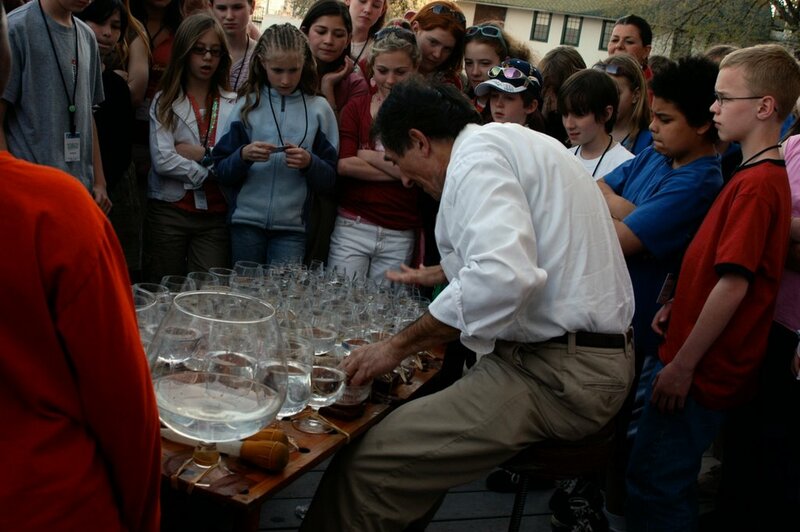 When he found himself surrounded with our kids, he launched into an incredible rendition of Beethoven’s 9th symphony using only various glasses. We all loved him. We had to leave him before we were ready so that we could eat during our time slot. Pasta and pizza. Yum.